Here we’ll go over the different types of accessories that are available for gun magazines. 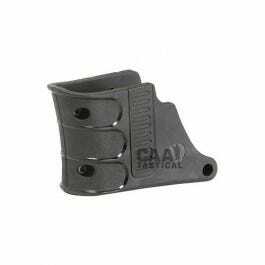 Used with Glocks, a magazine spacer fills the space between the bottom of the frame and the floorplate of longer magazines so you can use a 19/23 magazine with a Glock 26/27 pistol. You can find these made of high strength polymer with a surface texture that matches the Glock pistol. These are used to cover the openings where the bullets are placed, keeping them safely secure. These are used to strengthen the connection of the mag extension to the barrel. Typically these are used with 12 gauge shotguns. These are used to stabilize the magazine extension by clamping it to the barrel. Used in AR-15’s, these are used to load up to 50 rounds directly from the manufacturer box. Ammo is able to be loaded without touching the rounds.